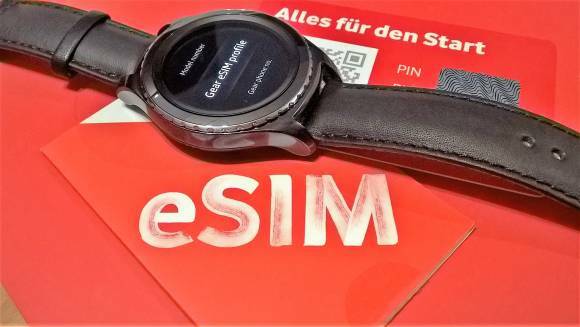 Vodafone gave me the new Samsung Gear S2 Classic 3G smartwatch and a free data contract at CeBIT yesterday. Why? Because the Samsung Gear S2 Classic 3G is eSIM-enabled and Vodafone Germany have just started supporting eSIM devices, ahead of the final GSMA standard. eSIM enables smaller connected devices and faster (cheaper) provisioning. Here we are with the first commercial eSIM product, and process, out of Germany. Vodafone eSIM and Gear S2 Classic 3G. eSIM does away with the little bits of plastic that contain your carrier profile and the fiddly little holders that take up too much space in smartphones. 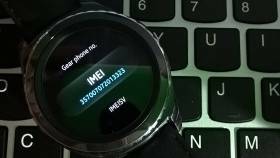 The kit here is part of a press-pack and I’ll be provisioning the Tizen OS Samsung Gear S2 soon but first, some information about what’s coming. When it comes to ultramobile PCs there’s been little uptake of the only truly mobile Internet connection. 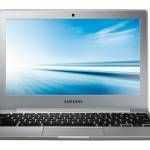 While there are PCs around that are 4G enabled they are generally expensive and business-focused. What if you could pack an LTE module on a WiFi/Bluetooth combo card without having to worry about sim slot placement, cable-routing and design? eSIM, an electronic SIM card provisioning process, could enable that and it could bring mobility to our ultra mobile PCs, and lots, lots more. 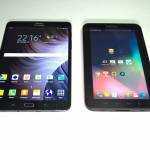 Smartphones and Smart Watches are the starting point. eSIM is important for smartphones, of course, but it’s more important for future ‘connected devices’ and the ‘Internet of Things.’ eSIM enables quick, bulk provisioning, and decommissioning, of anything you want to enable with data or a voice plan. Want to enable a car club race with live tracking of telemetry data on every car, just for one day? eSIM makes that possible, as the cars go through the warm-up lap. I’ll take a closer look at the Samsung Gear S2 Classic 3G soon but in short it’s a communicator and although not particularly practical in terms of battery life it’s a sign of how modular our mobile life could become. I wrote about the Acer Graphics Dock earlier today. It plugs into a Thunderbolt / USB-C port to provide a docking station with additional graphics power. Watches, as I’ve always said, are perfectly positioned for notifications as an additional module. This is our focus here on UMPCportal but there’s something bigger out there for eSIM. 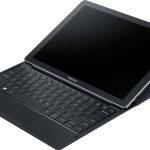 Look outside the personal computing space and there are a huge number of applications. The Internet of Things, small connected devices, a massive, billion product market. Cars, packets and wearable technology is just the start. Back to eSIM on the Gear S2 Classic 3G. It’s running Tizen. The kit I have here is not optimal because you need an Android (4.4 and above) smartphone, Bluetooth and a set of applications to permission it but I’m sure we’ll see less time-consuming and less-complex methods in the future. The point here is that there’s no plastic SIM cards involved. Provisioning is quick. One minute was all it took in the Vodafone demonstration I saw at CeBIT. The GSMA haven’t yet finalized the eSIM standard so Vodafone are working with a limited set of agreed protocols right now but in the near future you should see eSIM capable products that can store multiple profiles (SIM card details, if you like) with the ability to switch between them at will. 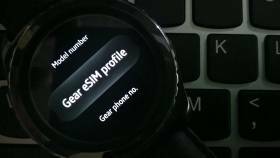 I haven’t yet permissioned the Gear S2 Classic 3G with the Vodafone eSIM yet because I want to capture that on video. Expect that in the coming days. I’ll also have a chance to talk about the Gear S2 3G. eSIM will come quickly. Anything that allows the manufacturer to reduce ports and the carrier to remove the logistics of handling bits of plastic is good and if you’re in the e-payment market, this is a great way to distribute credit cards. Just hand out scratch-card eSIMs at airports and wait for people to load them onto phones. Your thoughts and questions? I’ll start: Can I still have Multisim? One eSIM profile simultaneously working on multiple devices? 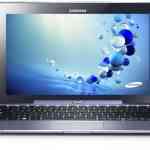 Samsung Chromebook 2 now available with Celeron at $249 (USA). Specs and video. 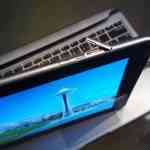 « Lenovo X1 Tablet. That keyboard!